Tarpon fishing is very popular off the beaches of Sarasota and Siesta Key. These fish show up in early May and stay until late July most years. This is not a charter for the casual angler, it requires patience and the understanding that on some trips no fish will be hooked. It is difficult, but the challenge is part of the allure of tarpon fishing. Every spring the beaches off of Siesta Key are invaded by schools of giant tarpon on their annual spawning migration. Tarpon average 75 pounds and specimens of 200 pounds are hooked every season! They usually stay around for a couple of months before thinning out mid-July, depending on the full moon. Fish school up in large groups early in the season before breaking up into smaller pods. By the end of July, single fish will be seen on the surface. This is “big game” fishing in every sense of the term and requires skill, endurance, patience, and a little luck as well. Heavy spinning is used to cast live crabs and baitfish towards pods of tarpon. This is primarily a sight-fishing experience. The fish will roll on the surface in pods of just a few fish to over a hundred fish. Patience is crucial as there will be periods when no fish are being spotted. But, patience will pay off in the fish of a lifetime! The best was to enjoy this experience is to go out on a tarpon fishing charter with a full time professional guide. 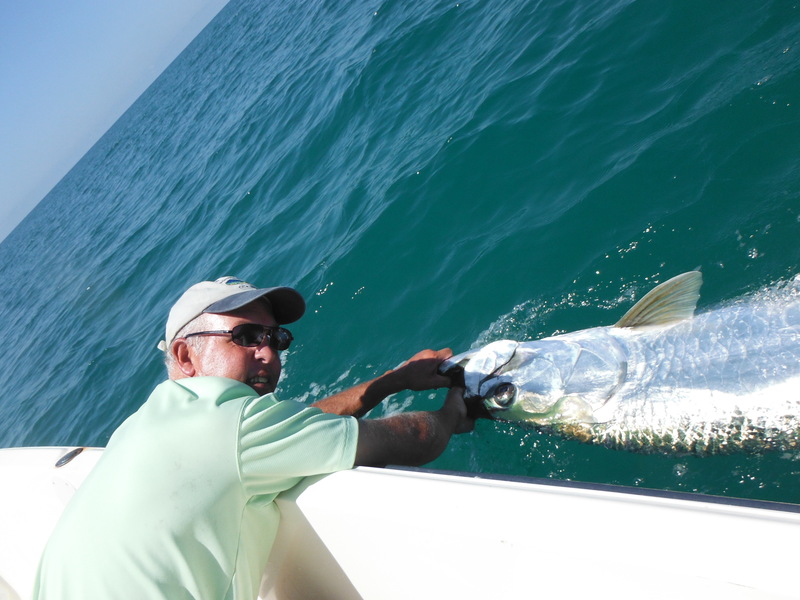 Tarpon fishing in florida requires special tackle and bait, as well as experience in reading the fish behavior and positioning the boat in a good spot to give the angler a shot at a successful hook-up. 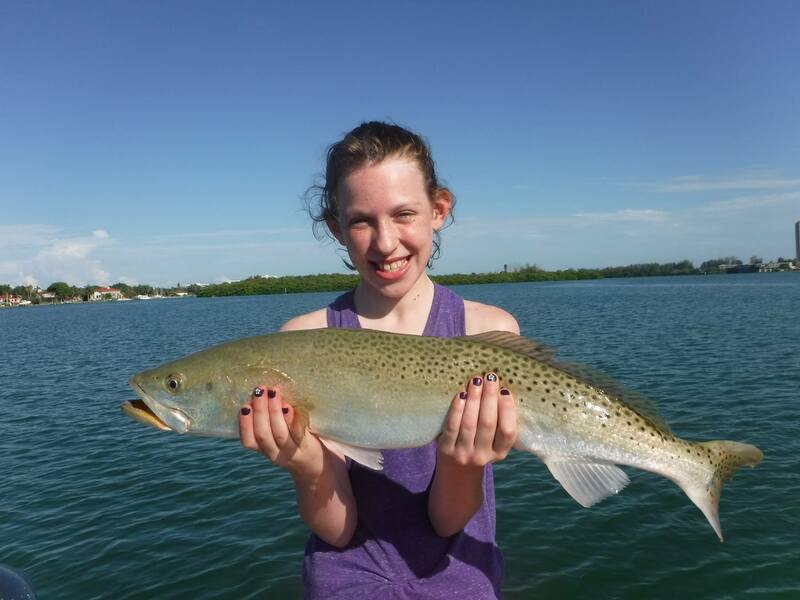 If you are ready to go Tarpon fishing in florida, call us at (941) 371-1390 and book your charter today. More info on regulations can be found HERE.